The Taoiseach previously said the new unit would be cost neutral. Taoiseach's new strategic communications unit is to cost €5 million next year. IT’S FINALLY BEEN revealed just how much the Taoiseach’s new Strategic Communications Unit (SCU) is going to cost in 2018 – some €5 million. Those on the opposition benches have been asking about staffing and other costs since its inception, as well as inquiring about whether the top jobs would be filled through the Public Appointments Service. The new SCU exists in tandem with the current Government Information Service (GIS) which will continue to run all day-to-day communications concerning the Department of the Taoiseach. 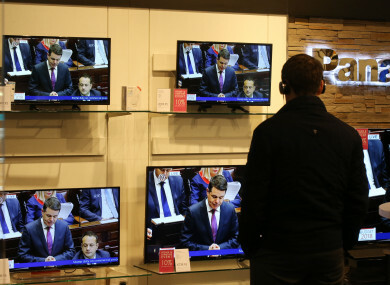 Much debate has been generated by the new media unit, which has been described as something of a personal project for the Taoiseach since he took up office in early June. Varadkar has long been the focus of accusations that public image is a higher priority for him than other political concerns. However, he claimed that the new unit will incur no additional expense for the exchequer, and will be funded entirely from within “existing allocations”. Buried deep in the Budget Expenditure document, the full cost of what the unit will cost is revealed. A government spokesperson reiterated the Taoiseach’s previous point that the unit would be cost neutral in 2018 due to the savings it aims to achieve next year. “Clear communications is a virtue. People deserve to know what their Government is doing and what they are entitled to. The Strategic Communications initiative will be cost neutral in 2018 by generating efficiencies across Government Departments and ensuring collaboration on major campaigns,” said the spokesperson. “The spending will come from within existing resources. Furthermore, the overall budget for the Department of the Taoiseach is down 2% for 2018,” added the statement. Hitting out at the announcement today, Fianna Fáil’s Dara Calleary said the government had awarded €5 million to its own “cheerleading machine”. He said that €5 million “would buy a lot of hours for home help” and could have been spent on more worthwhile items. “You keep spinning, we’ll keep delivering,” he said. Email “Revealed: Taoiseach's new communications unit to cost €5m next year”. Feedback on “Revealed: Taoiseach's new communications unit to cost €5m next year”.